An iconic, award-winning winemaker who's left the BEST winemaking job in New Zealand to set-up shop and make wines exclusively for YOU, all thanks to Angel funding. Rod left his full-time post as Chief Winemaker at Craggy Range, New Zealand's most iconic winery, to set-up-shop alone and make an exclusive range of wines just for us, using the BEST grapes that Hawke's Bay, Marlborough and Central Otago have to offer. Rod is an immense talent, whose wines are dripping in medals, rave journalist reviews and oodles of Parker Points - and thanks to Angel funding and backing, he's agreed to get Naked! This is a huge win because Rod is at the pinnacle of New Zealand winemaking. Your tastebuds are in for an incredible treat. 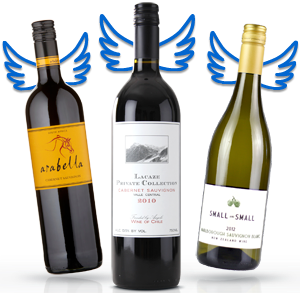 Angel funded New Zealand winemaking superstar! Mike has 10 years of exceptional winemaking experience. Until recently he was the head winemaker of one of Marlborough's most internationally respected wineries and wine brands. Mike wanted to one day make his own wine & knew an opportunity such as this, as provided by the Naked Angels would be just too hard to ignore. Mike's ambition with his wines is to represent the pureness of Marlborough's striking landscapes and growing seasons, but with balance and texture and in turn immeasurable drinkability. Meet Nicky and Peter... Nicky is the winemaker and Peter is the grower. They are father and daughter and combined have 49 years experience in the wine industry. Making wine from the Waipara Valley, situated in North Canterbury on the South Island of NZ. Nicky's winemaking passion is Chardonnay and Pinot Noir. For 10 years they grew grapes for the best producers in New Zealand (Pegasus Bay etc), but 5 years ago they put their own name on the grapes when the vines hit their peak. 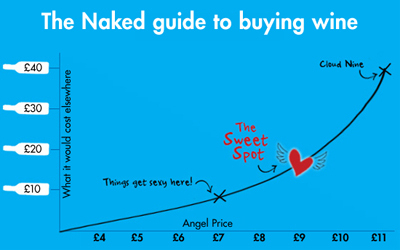 Naked Angels are helping Nicky and Peter continue their Dunnolly dream for the wine industry.